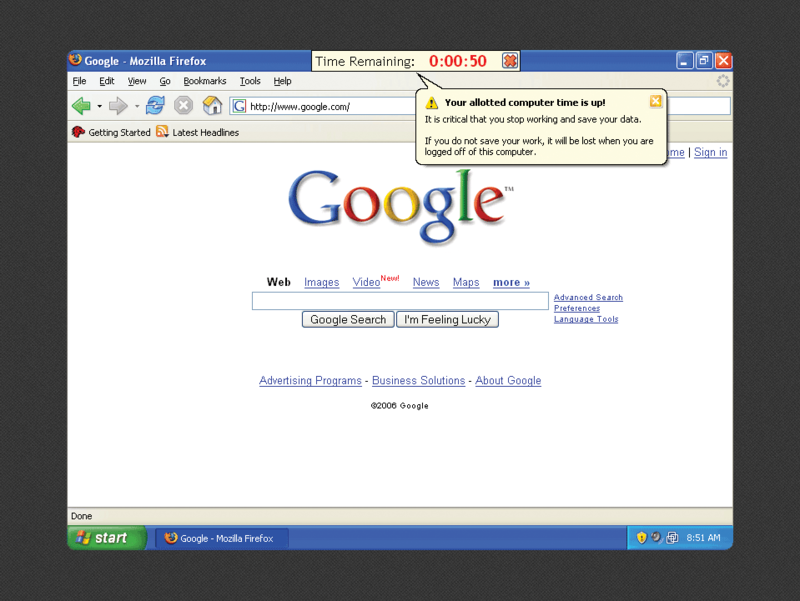 Time Limit Manager v.10 (TLM) provides a convenient and reliable method to implement custom Usage Policies for public access computers, such as those currently deployed in public libraries. 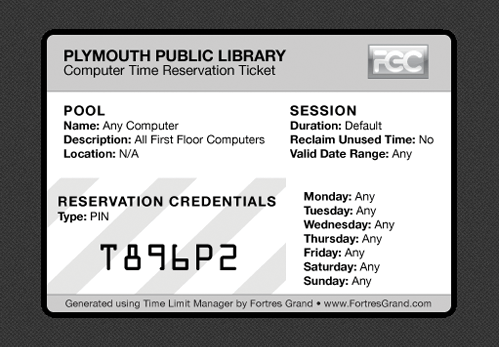 TLM provides all necessary infrastructure to display a Usage Policy on each computer screen, to require and obtain patron’s digital assent to the Usage Policy prior to computer access, to enforce computer session time, to effect an orderly closing of all previous session applications, and to return to the Usage Policy display for the next patron. TLM is a mature product that can successfully help to implement a wide variety of Usage Policies with very little effort from administrators. Best of all, once TLM is monitoring the Usage Policy, librarians are free to attend to their important responsibilities rather than policing the fair and proper use of public access computers. 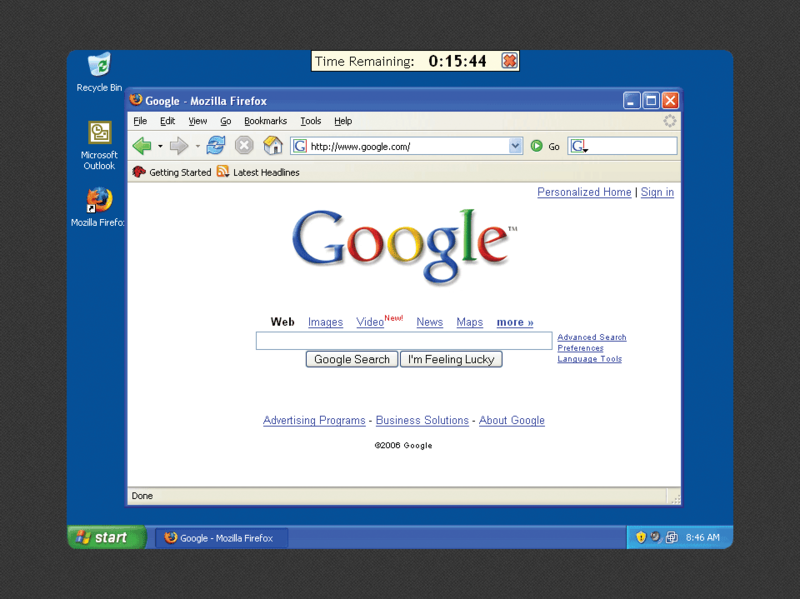 When used with award-winning Clean Slate, all traces of user activity (cookies, history, mischief) are thoroughly cleared at the end of each session providing a clean computer for the next user. 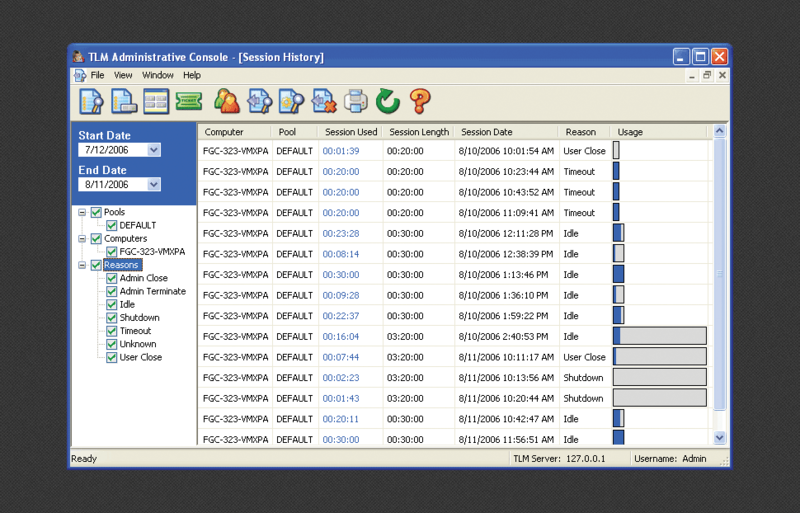 With Time Limit Manager installed, the computer displays an inviting entry screen with your organization’s own Usage Policy Statement. The screen prevents the computer from being used until a valid PIN is entered and the usage policy is accepted. The valid PIN is distributed through the use of reservation tickets. Quickly and easily print the reservation tickets customized with your time limit policy. This is ideal for single public access computers or networks of thousands. 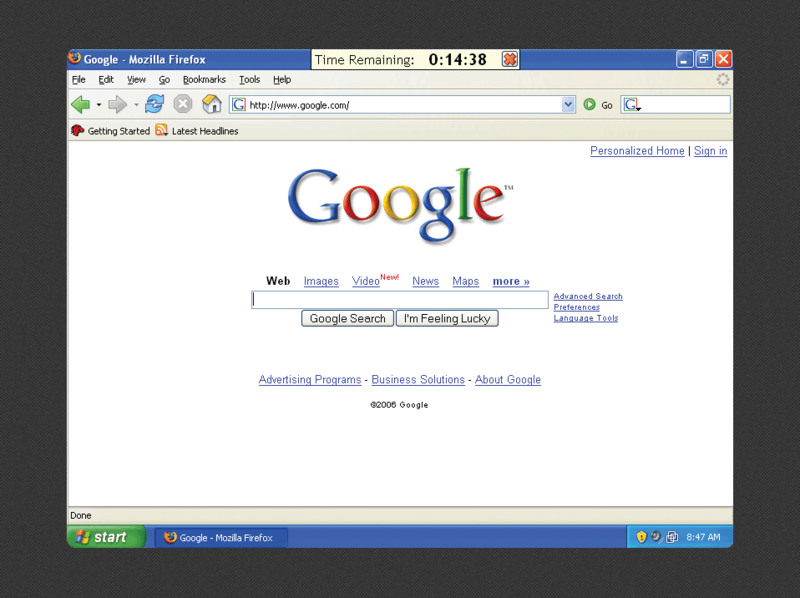 TLM also provides for the remote observation of computer use. 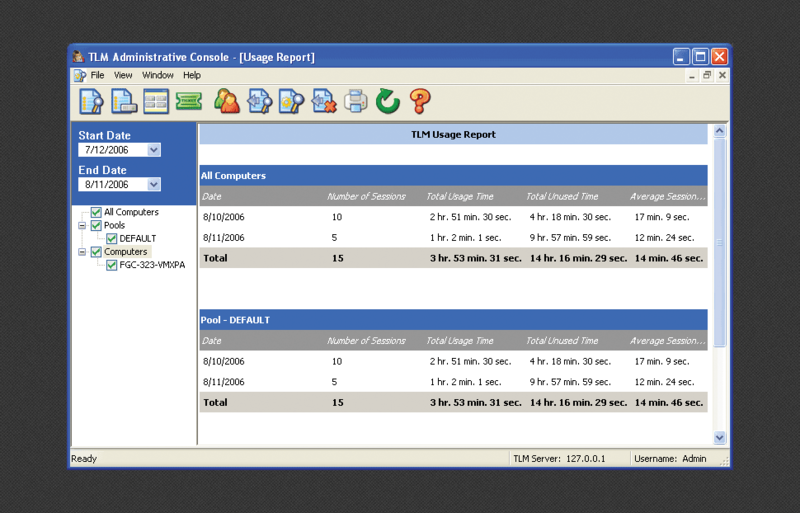 On a librarian’s computer TLM will display the status of every public access computer. 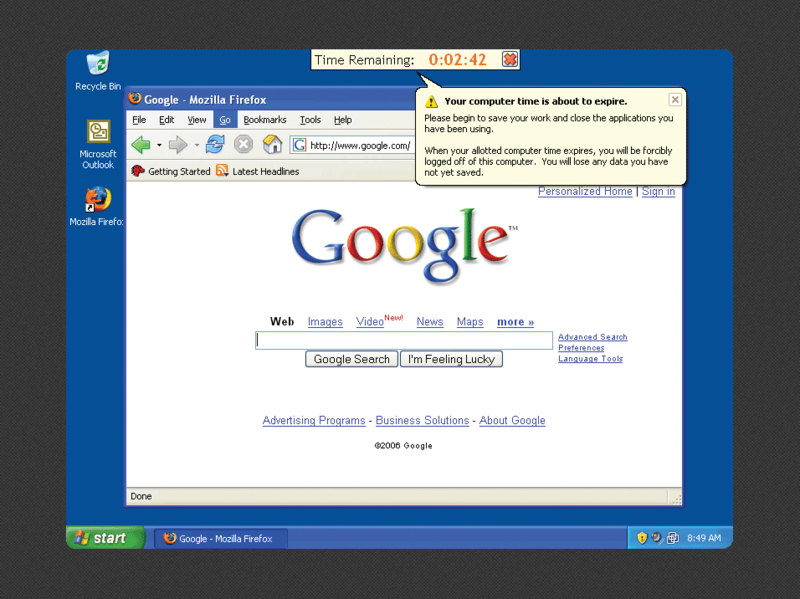 This status includes which computers are in-use, idle, or off-line. Librarian’s can view screen shots, end sessions, and send messages reminding particular patrons of appropriate use. TLM displays an unobtrusive countdown timer on each public access computer indicating the time that the patron has remaining before all of their programs are automatically closed and the machine is prepared for the next user. At two intervals shortly before the session is to end, the patrons are given a prominent on-screen notice that their applications will soon be closed. TLM can be used to effect the orderly ending of all computer sessions at a particular time prior to the library closing. This saves librarians from the unenviable task of walking around to each computer reminding patrons that the library is closing. Support for 32 Bit and 64 Bit Windows 10, Windows 8.1, Windows 8, Windows 7 along with 32 Bit and 64 Bit Windows 2016/2012/2008 Server. Operating System: 32 Bit and 64 Bit Windows 10, Windows 8.1, Windows 8, Windows 7 along with 32 Bit and 64 Bit Windows 2016/2012/2008 Server.